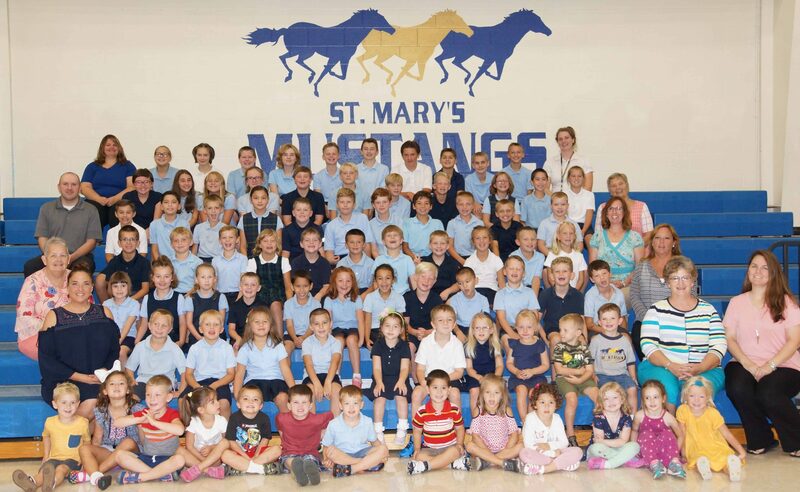 St. Mary’s is a caring community dedicated to encouraging each child to discover and cultivate their God-given talents. Our small size insures that each child can explore, share & be a star. Catholic values provide a strong foundation and help children grow spiritually and intellectually. A student-teacher ratio of 11 to 1 and 21st century technology allow differentiated teaching to unlock each child’s potential. Parents are an integral part of our school. As partners in their children’s education, there are a myriad of activities and volunteer opportunities in the school and parish. 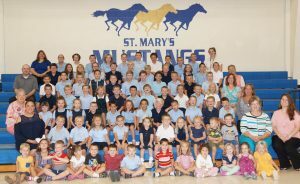 St. Mary’s School offers a curriculum which includes music, band, art, theater, computer technology and physical education. Core classes in religion, language arts, math, social studies and science are built on a curriculum presented through research based, best practice and common core standards.